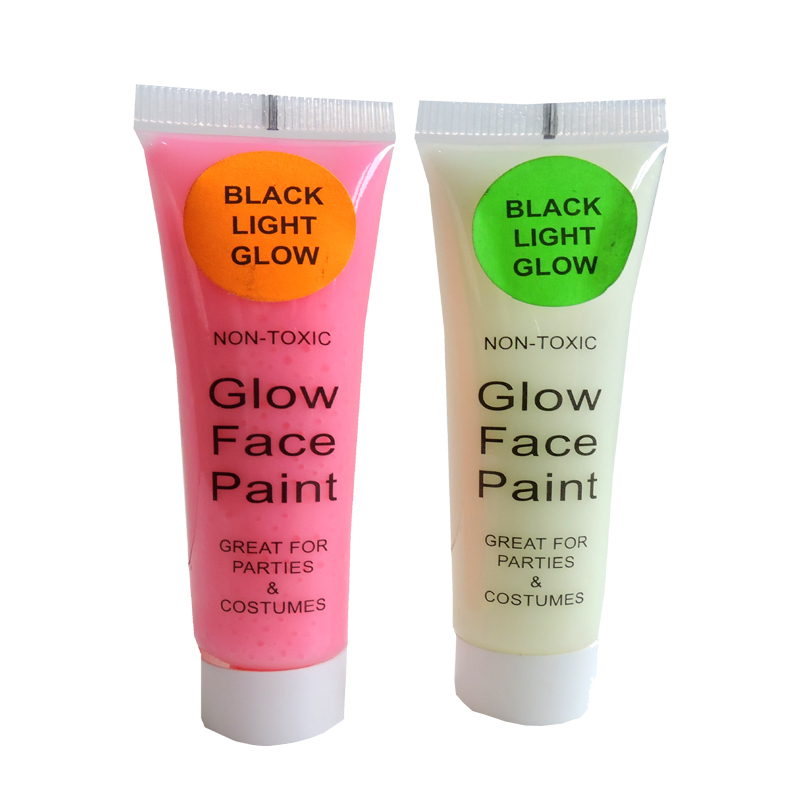 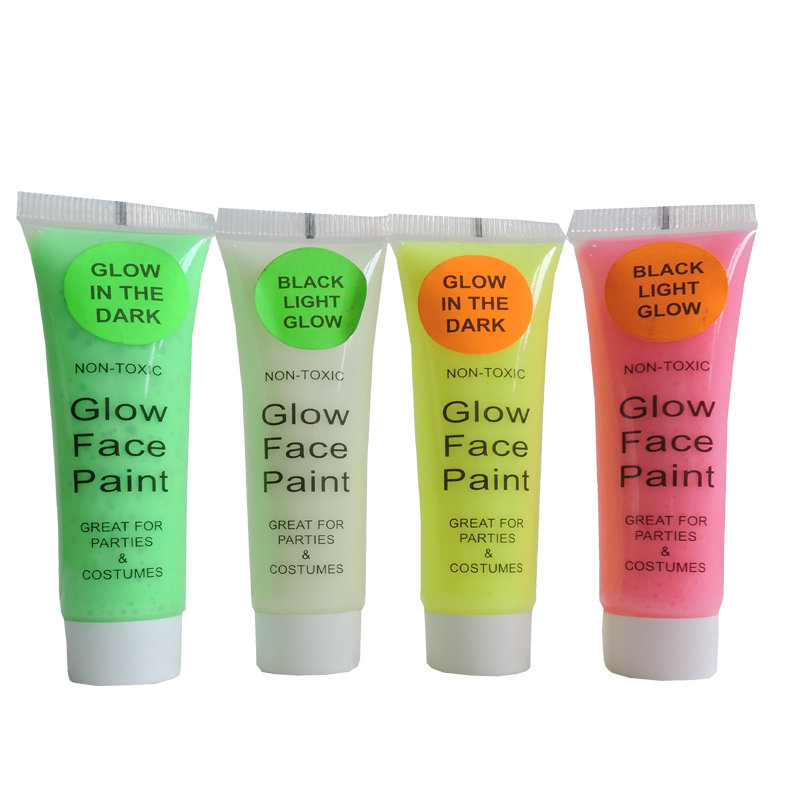 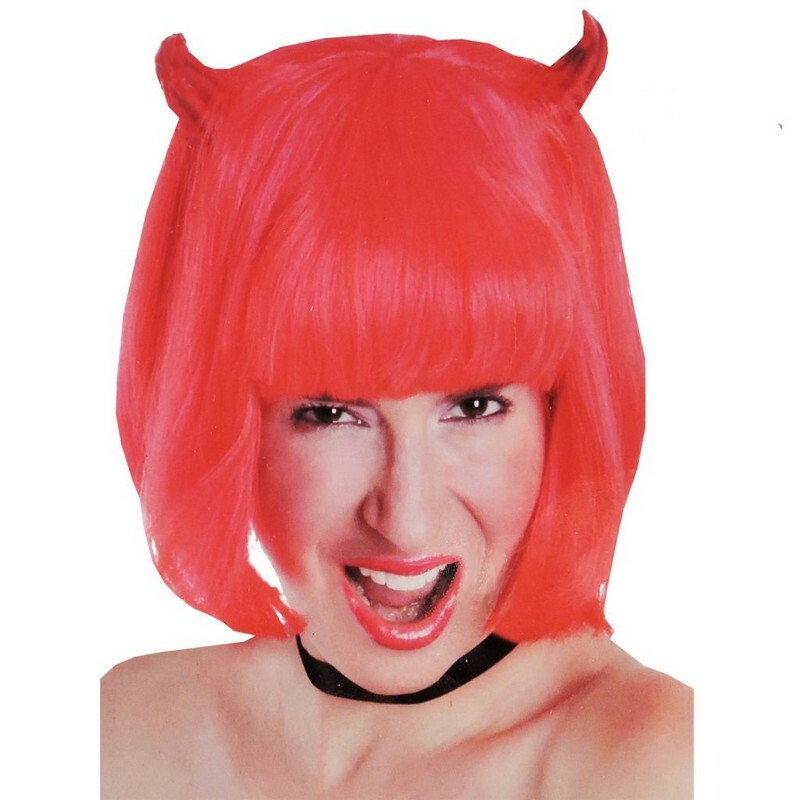 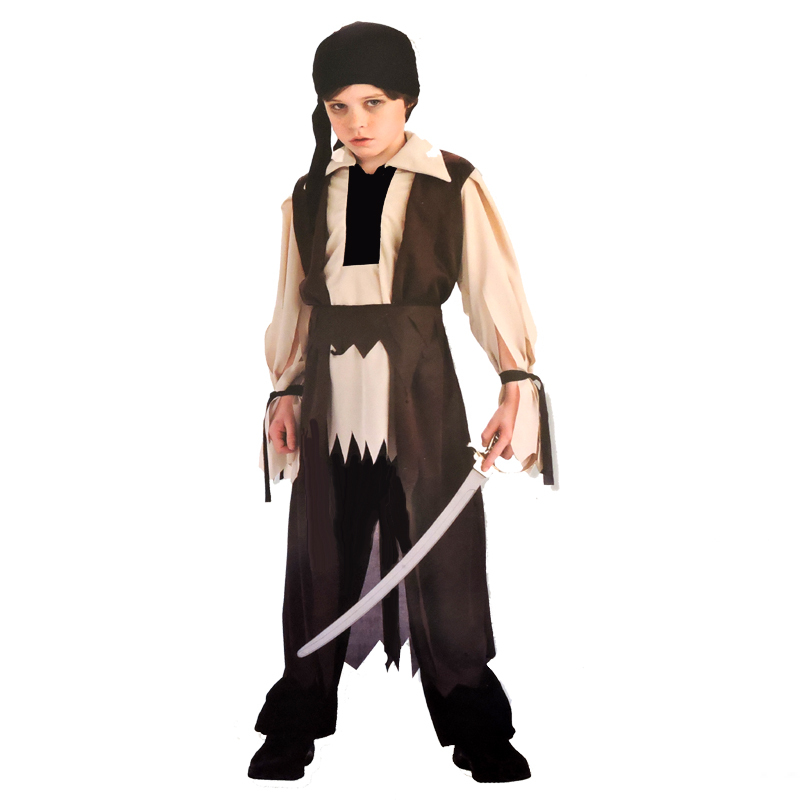 These non-toxic face paints are great for parties and dress up. 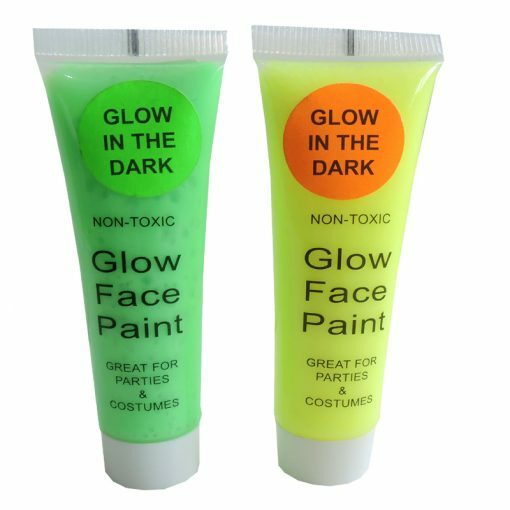 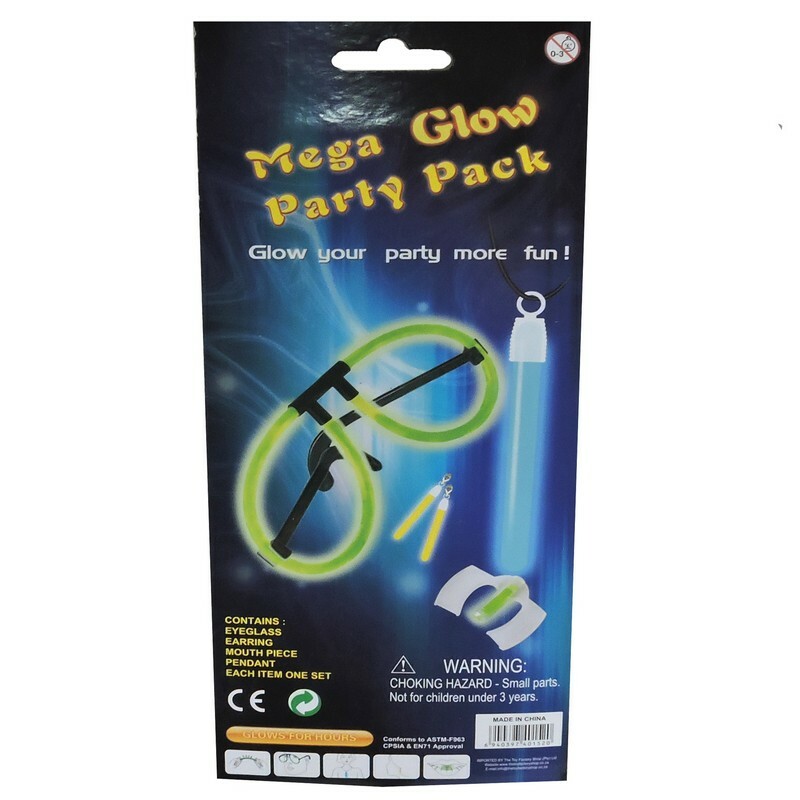 Choose between the green glow in the dark / yellow glow in the dark or white Flourescent light paint / pink Flourescent light paint. 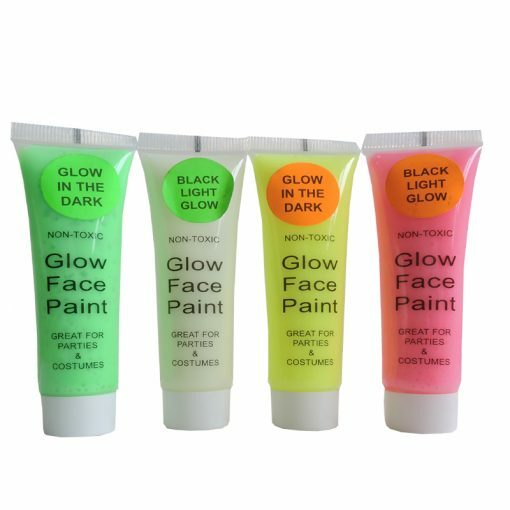 Some are glow in the dark and some glow by black light.